5,000 Troops to Venezuela? Unlikely. But the US Can Still Take Out Maduro. What would such an operation look like, realistically? Speaking of the crisis in Venezuela, Donald Trump said, that “a possible military option” is on the table. But is the United States really preparing to attack this Latin American country? Certainly, planning and implementing a military invasion operation of this scale is an easy task for the US Army. They might not even need to involve any of the military bases they have in the region, such as Soto Cano Air in Honduras, Guantanamo Bay Naval Base in Cuba and Fort Buchanan in San Juan, Puerto Rico. About 2200 kilometers separate Caracas from Miami. The distance is no serious obstacle to the present-day United States Armed Forces, even if they will have to make a stop at any of the air bases in the Caribbean. The United States Armed Forces consist of the Army, Marine Corps, Navy, Air Force, and Coast Guard so just take your pick, any of these or their combination would be fit for the job, with all their equipment, machinery and well-trained highly experienced personnel. The Military Sealift Command is more than capable of delivering all necessary resources and supplies to any destination. So hypothetically and quite realistically, it could take the US military under 24 hours to plan this operation, and just a few days more to get the forces to the site, ready and on standby. All in all, I figure the US could take down the Bolivarian National Armed Forces in less than a week’s time. Courage and valor wouldn’t help in this case, as passionate as Venezuelan soldiers might be about their homeland. The basic law of war would undoubtedly prevail, and the victory would be seized by a bigger force. In other words, chances the Armed Forces of Venezuela could put up some real resistance to the US invasion are infinitely small and can be neglected, especially so since Washington has some experience of running such ops in the Caribbean. Consider, for example, the 1983 US invasion of Grenada, codenamed as Operation Urgent Fury. Following appeals made by the Organization of Eastern Caribbean States in response to a bloody coup d’état in the country that led to execution of the previous revolutionary leader Maurice Bishop, the Reagan Administration quickly launched a military intervention, partially justifying it with concerns over safety of the U.S. citizens on the island. The invading force consisted of the U.S. Ranger Battalions and 82nd Airborne Division paratroopers, the U.S. Marines, Army Delta Force and Navy SEALs. The operation resulted in a US victory in a matter of four days. 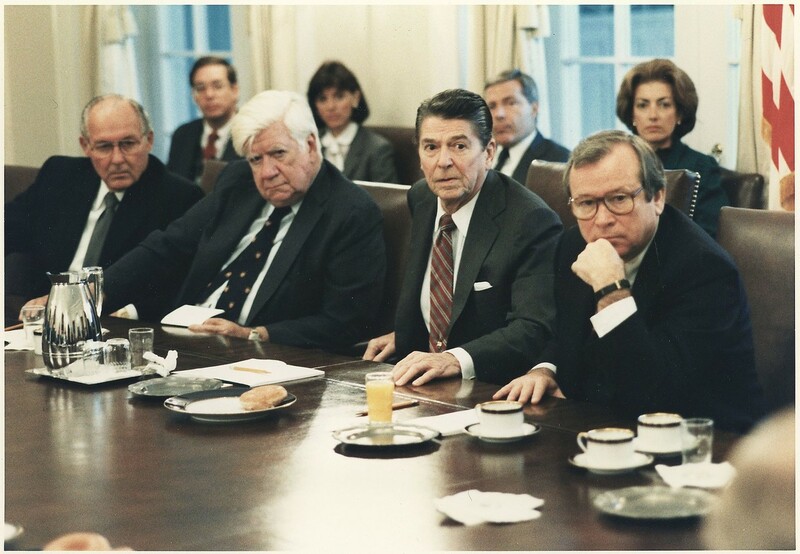 There was also the 1989 United States invasion of Panama where, like in the case above, the US acted upon its concerns over the lives of 35,000 U.S. citizens living there and its intent to “restore democracy”. 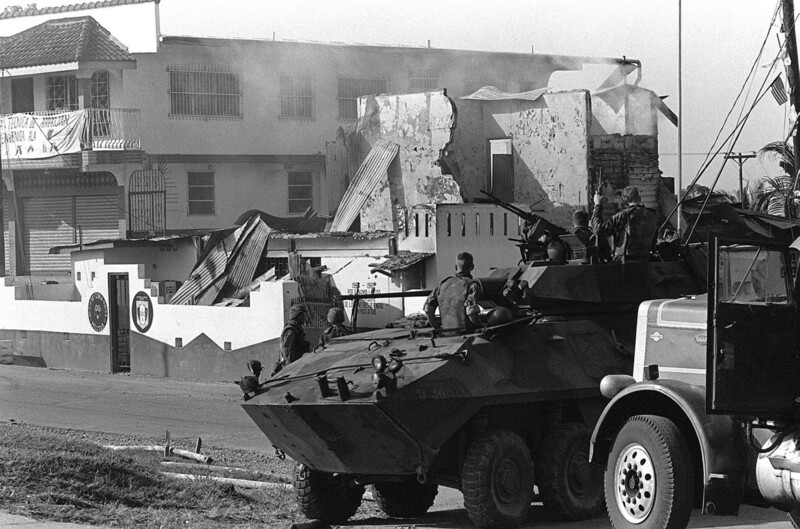 Or consider the US military intervention into the Dominican Civil War in 1965 that started as an evacuation mission and turned into a large-scale Operation Power Pack aiming to overthrow the Francisco Caamaño government. Clearly, the United States has a rich experience in “restoring democracy” in Latin American nations. This time, the US is highly unlikely to launch a direct military intervention in Venezuela. The sky above the Bolivarian Republic is hardly going to be one day filled with the white freckles of parachutes of the 82nd Airborne Division or helicopters of the 101st Airborne Division, and its sandy beaches probably will not see the boots of the US Marine Expeditionary Force. Again, such classical (“Grenada-like”) scenario for the start of military hostilities is doubtful. First, it can lead to most undesirable consequences for the US, since the people of Venezuela can unite in the face of foreign intervention. Second, international fallout of such an operation will also be a problem the US would rather avoid. Third, Venezuela has quite complex terrain which is not really fit for military action – you cannot occupy jungles, Americans know that very well from the war in Vietnam. The US is sure to apply every trick in the book against Venezuela, but bombing and air-to-surface missile attacks most probably will not take place. However, it is still possible that some elements of the operation in Yugoslavia when missile strikes were carried out to destroy critical infrastructure will be repeated here as well. There is every reason to believe that the US will deploy most advanced technologies to topple the Maduro regime, including information operations. To achieve its goal, America can rely on the United States Cyber Command and Psychological Operations Groups. In this regard, it seems reasonable to assume that the US will be working towards two main objectives. On one hand, America will attempt to render completely inoperative the government and military command of the Maduro regime and to discredit once and for all current authorities of Venezuela. On the other, the US will be giving all necessary support to the opposition, including information, organization efforts, and financing. One of the main tracks of the US activities in Venezuela is neutralizing the threat from the Venezuelan top military officers by making them side with the opposition. This is going to be achieved with the help of the experience the US got in Iraq, of course, some elements of that scenario will be adjusted to the current situation. Probably, Venezuela’s generals and admirals have already been approached with very tempting offers in exchange for abandoning Maduro. There is no doubt that to deal with possible emergencies, the US will deploy its special forces to Venezuela, such as rangers, green berets, Navy SEALs, Special Operations Wings, and others. They may be used to perform a number of tasks, even eliminating certain leaders of the Bolivarian Republic who couldn’t be convinced to cooperate. It is possible that the US will form a coalition of Latin American states of sorts to confront Nicolas Maduro. Immediate candidates are Columbia and Brazil. These two countries can together establish control over the border crossings and partially block Venezuela from the sea in order to prevent any humanitarian aid ships from coming to the country. All in all, the task given to the US forces is most likely different to simply conducting large-scale missile strikes and bombing to undermine the uncompliant President Maduro.